Welcome to the website for the Catholic Apostolic Church of Antioch, a free and independent sacramental Church in the Catholic tradition. As a branch of the one Christian Church, we acknowledge Jesus Christ as our Founder, Living Head and Eternal High Priest. Although hierarchical in structure, we honor and maintain the value of primacy of conscience and freedom of thought and expression in theological and spiritual matters. We consider them to be essential qualities for an authentic response to the presence of God in our lives. We acknowledge that freedom of conscience makes each person fully responsible for his or her own spiritual development. The Catholic Church of Antioch embodies an ancient truth for the modern world. We provide an intelligent alternative; traditional worship and teaching with the freedom to interpret the tradition in the light of modern research and scholarship. We affirm the value of a balanced spiritual life, including study of both ancient wisdom and modern knowledge, unfoldment of the Inner Light through meditation, participation in liturgical and sacramental worship, and creative self-expression in service to others. We hold that it is the will of God that all people be at peace and to be guided by the Holy Spirit into wholeness of life, health, happiness and harmony. We further hold that we are asked to know God through love as Love. Our altars are open to all who reverently approach them, regardless of denominational affiliation, race, marital status, sexual orientation or economic status. Holy orders are also open to all regardless of gender, race, marital status, sexual orientation or economic status. Following the example of Jesus and faithful to the principle of catholicity, we look for ways to include instead of ways to exclude. After reviewing the information in our site, please feel free to contact me with any questions you may have. I can be reached at: Antioch1@swcp.com. I look forward to hearing from you. All photos are copyrighted and owned by the Catholic Apostolic Church of Antioch unless otherwise noted. All text is also copyrighted and owned by the Catholic Apostolic Church of Antioch, unless noted. 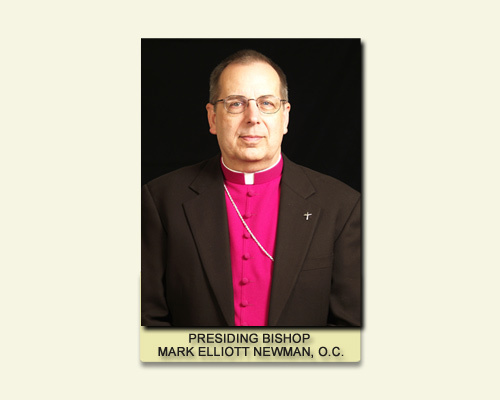 Photos and text cannot be copied/used in any manner without the express permission of the Presiding Bishop.